Rabbi Beinish Ginsburg has been teaching at Michalah Jerusalem College for Women for thepast fourteen years. He has been on staff at Yeshivat Netiv Aryeh at the Kotelfor ten years and is currently a Magid Shiur for Shana Bet. He also taught at Darchei Binah seminary for several years. He received his Semicha from the Chief Rabbinate of Israel, as well as from Yeshivas Rabbeinu Yitzchak Elchonon. Rabbi Ginsburg spent six years after high school learning in Eretz Yisroel. During the Bein Hazmanim, he earned a degree from the University of Maryland. He then learned for five years under Rav Schachter at YU while at the same time receiving a Masters in Jewish Education. 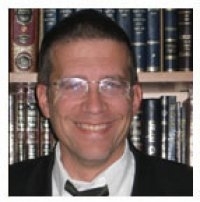 He taught for several years in Mesivta Yesodei Yeshurun and Shevach High School while continuing to learn atYeshivas Ohr HaChaim. Rabbi Ginsburg and his wife Chana made Aliya in 1995.They are both gratefully involved in raising their family in Ramat Beit Shemesh and teaching Torah.